Then go to the "store items" section of your inventory to start playing. Legendary Swords is an action-adventure unlike any you've ever seen before on Poptropica. In addition to the powerful swords you will find on your quest, you can also use any sword from the Poptropica Store to help you defeat E. Vile's robot army! 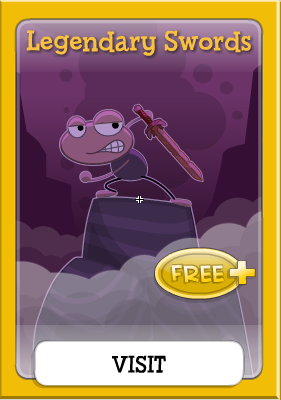 Visit Poptropica now to start playing Legendary Swords!